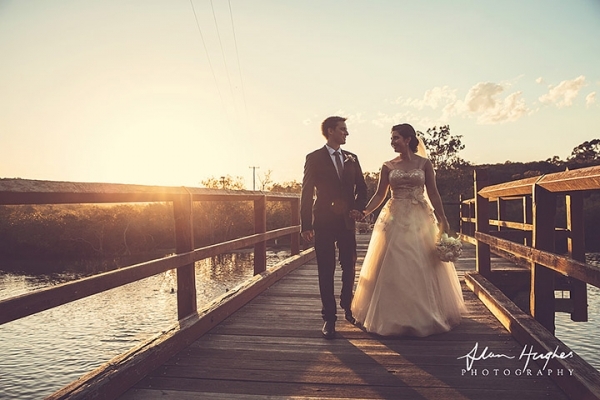 Just a few images from a Maddie & Lachlan's stunning Noosa wedding. I love it when brides have the opportunity to get ready at their parent's home as they are surrounded by memories and photos that can be included in their own wedding day images. Also this was pretty cool as Lachlan's sister was a 'groomsman' and her dress was beautifully matched to the boys' outfits too. Makeup by Boudoir Blush, Reception was at the Riverdeck, flowers by Heavenly Blooms and transport by Old Skool Kombis.